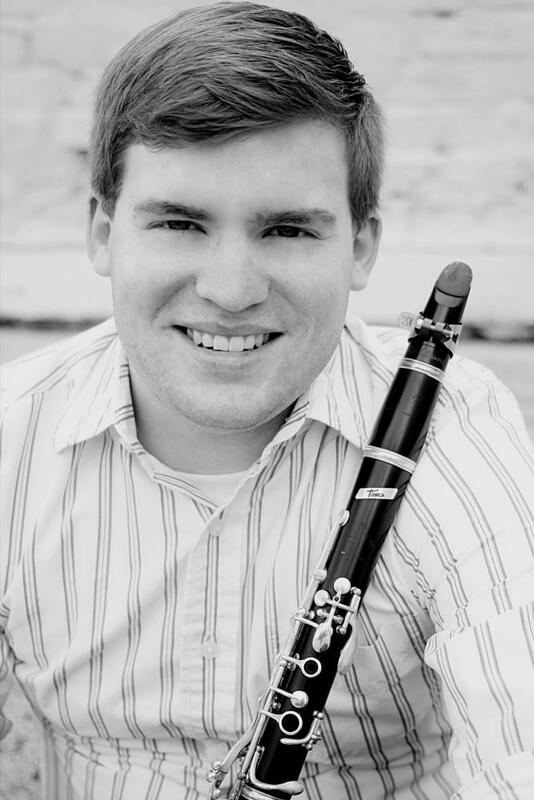 Congratulations to clarinetist Andy Hunt, a Professional Performer’s Certificate candidate and student of Anthony J. Costa, on being named a co-winner of the 2017-18 Symphonic Wind Ensemble Concerto Competition. He will perform “Black Dog” by Scott McAllister with the ensemble in an upcoming performance. A native of Greensboro, NC, Andy received his bachelor’s degree in Music Education with minors in Spanish and Psychology, from Stetson University (FL) in 2014. While at Stetson, he received numerous talent scholarships and served as president of Stetson’s chapter of the Collegiate National Association for Music Education. He received his master’s degree in clarinet performance from Ball State University (IN), where he was the clarinet studio teaching assistant and performed with the Muncie Symphony Orchestra, the Muncie Symphony Orchestra’s Outreach Woodwind Quintet, the Ball State Wind Ensemble, the Ball State Symphony Orchestra, the New Music Ensemble, and numerous chamber groups. He also was invited to perform Carl Nielsen’s Concerto for Clarinet and Orchestra, Op. 57 with the Eastern and Central Indiana Symphony Orchestra. In May 2017, Andy earned a Professional Performance Certificate in clarinet from Penn State, participating in the Symphonic Wind Ensemble, Philharmonic Orchestra, Chamber Orchestra, Clarinet Choir, and in chamber music. He also performed on the Graduate Recognition Recital in January 2017. In addition, he has performed with the Williamsport Symphony Orchestra, State College Choral Society’s performance of the Mozart Requiem, and the Little German Band of State College. Returning to Penn State for a second year, he is currently pursuing a Professional Performance Certificate in clarinet pedagogy and literature. After graduation, Andy plans to pursue teaching and administrative positions in music and eventually become a clarinet professor at the collegiate level. His professional affiliations include the International Clarinet Association, the National Association for Music Education, Pi Kappa Lambda National Music Honor Society, and Phi Mu Alpha Sinfonia.